I know how cranky I sound, and it's really terrible because this first week at school's been kind of a delight. I've got two sections of a lecture class this term and I've been all but vibrating with excitement about them. So yeah, I sound like an ungrateful, angry mess. Excuse me as I roll my eyes at myself. /edit 2:41, the next day: just got home from a nice walk with mum. feel less like cat whose fur was brushed the wrong way. that's good, I suppose. Pope has also arrived and mum and I poked around the limits of the barricades in the Taft area just because we could. Taft seems like a different creature. 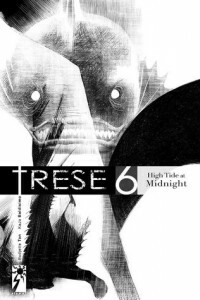 Trese 6: High Tide at Midnight by Budjette Tan and Kajo Baldisimo is actually the last book I read from last year. However, I didn't get to include it into any previous posts, so here it is. I was pleasantly surprised by Trese 6 as I didn't care much for volume 5. Both the art and writing felt fresher this time around, and it seems that the series is finally breaking out of its MoTW format and focusing on building a more coherent universe. I've long been curious about the supernatural world and culture beyond the Trese's purview, and they seem to finally be interested in fleshing this out. I'm a bit iffy about the idea of the team-building that they did in the latter portion of the book, but I figure it's earnest and means well, and hopefully that'll go a long way towards distancing future teambased storylines from retreading old paths and tropes. 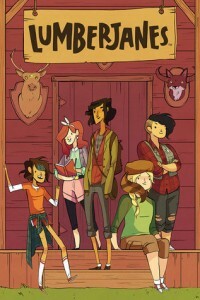 Lumberjanes by Noelle Stevenson and Grace Ellis has been on my radar for quite a while now. 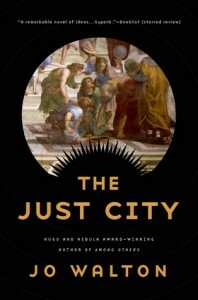 I've long been a fan of Stevenson's work and ideas, so I had high hopes for this book. The comic is delightful. 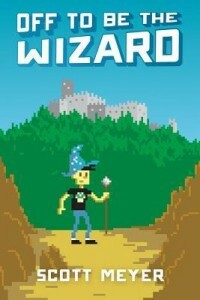 Dialogue's snappy, and the character design's is amazing. Everyone and everything is adorable. One of them has a racoon familiar that doubles as a hat. The art's pretty but doesn't flow quite right sometimes, and the panelling doesn't quite do it for me, so that did impede my enjoyment a bit. 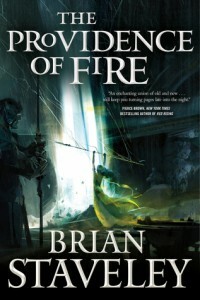 It's a solid read though, and I'm definitely going to keep following the series to wherever it intends to go (and with all the elements it's got up in the air right now, that could literally be anywhere). 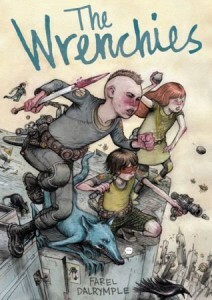 The Wrenchies by Farel Dalrymple fucked me up really badly. The interiors are BEAUTIFUL. It's all painted in what looks like watercolour to my untrained eye, and I spent ages after finishing it just flipping back and forth between chapters and immersing myself in the look of the book. 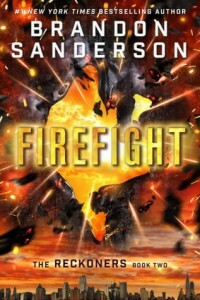 The story is made of impenetrable ouroboros chain-link armour, and I honestly felt like my brain had been literally opened up to the night air when I read it. Truly beautiful. 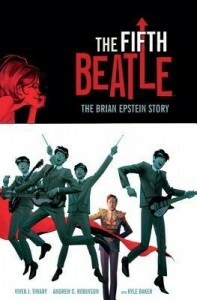 The Fifth Beatle by Vivek Tiwary, Andrew C. Robinson, and Kyle Baker made me cry. No shame at all. I could have done with a longer book, like a chunk of it in the middle really breezed by because they gave us the graphic novel version of a high-speed montage, but otherwise I really enjoyed and was moved by it. (I'm sure that Epstein would have loved a longer life as well, let alone a happy one, but oh dear.) I have to admit that I hadn't even heard of Brian Epstein until I got to read this, but the treatment of his life story was very loving and it made me feel very invested in him in a very short time. 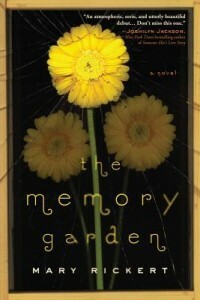 The Memory Garden by Mary Rickert was on this list of books that one should read if you like The Magicians. I find that this is an unfair comparison, as Rickert has written such a powerful book about memory, friendship, and growing old that I really don't know how it's even related to my favourite trilogy about youth, bad decisions driven by selfishness, and how to not learn from your mistakes. 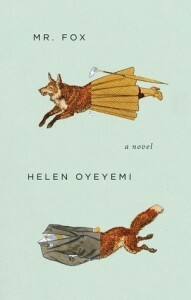 (Feels more like The Divine Secrets of the Ya-Ya Sisterhood and The Joy Luck Club than the Magicians). Extremely different themes, and completely different pacing, I could go on and on. Novel's a good read, if a bit difficult to get through due to one of the PoV characters being really old and possibly in the throes of dementia, but it really get all tied together in the latter third of the novel. Ending was a bit too sweet for me, but not to the point of it actually being saccharine. "...an exercise on how quickly things can turn on a dime, and how apparently, you can trust absolutely no-one." To say the least! I finished the last six or seven chapters this morning over breakfast and I swear to god, I have this case of plot-related whiplash from all the twists and turns in this novel. I also feel really bad for Valyn. He's been handed the shortest end of the stick of the three sibs :(.